This intimate venue enjoys a unique setting, right on the water’s edge. 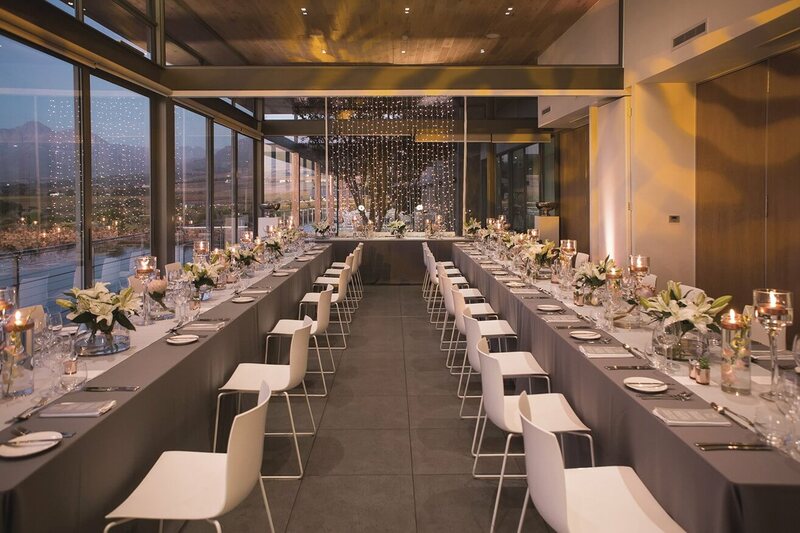 The glassed ​enclosure take full advantage of the stunning views, over the ​dam​ to the Helderberg Mountains​.​ ​The area accommodate​s​ 150 guests theatre-style for indoor wedding ceremonies. ​ Alternatively the space is perfect for up to 70 guest​s​ seated banqueting-style to enjoy a private lunch or dinner.